It all seems so easy, adding a hint or an error to a form field. But what happens when you’re suddenly asked to add pop-up tool tips? Or, even worse, additional information as modals? This presentation will take you through the highs and lows of tool tips and error messages. Along the way, we’ll look at some new ARIA 1.1 attributes like aria-errormessage. Not to be missed – if you’re into pain and suffering. 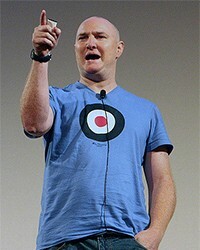 Russ Weakley has worked in the design field for over 20 years. Russ is a User Experience professional, User-focused Web Designer, Front-end Developer and trainer. 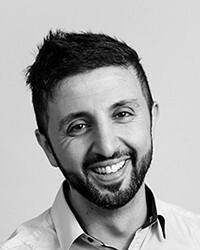 He is the producer and presenter of 12 video courses on CSS and Responsive Web Design, and the author of Sams Teach Yourself CSS in 10 Minutes (2005) – and its sequel. He insists his commitment to accessibility is a natural outcome of adherence to web standards and best practice. We often leave accessibility until the last minute, or until a customer complains about our product. But refactoring isn’t the ideal way to make products anyone can use, and Stack Overflow doesn’t have all the information you’ll need. Integrating accessibility into your day-to-day work will save you time and energy, and creates a more user-friendly product. Julie will show you the 4-step process she uses to build an accessible interactive feature from scratch, using device-independent progressive enhancement. 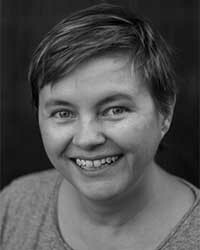 Julie Grundy is an Australian accessibility consultant currently working with the crew at Canadian outfit Simply Accessible. She’s been doing this for about 5 years now, and really enjoys it. 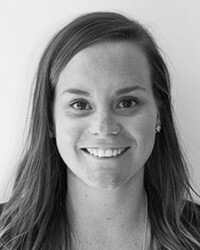 Before that she worked as a front-end developer specialising in e-learning. Julie has recently been giving talks on accessibility at meetups and conferences: you can watch a video of her speaking about CSS for low-vision users at CSSConfAU (with captions available) or giving a lightning talk on colour contrast at Collide in 2016. We’d like to share how we tackle accessibility at Transpire, and how the various disciplines of design, engineering and QA drive and change their processes to ensure a leading, usable and accessible mobile app. You’ll walk away with useful takeaways of what to do and not do, and what to consider when embarking on a mobile app development project. With over 21 years’ experience in the field of design, both as a practitioner and manager, I have worked across the private and public sectors – mostly in the consulting space, managing UX researchers and designers. I have been in the design industry for 12 years and have worked as a marketing professional for eight of those years across the Finance, Government and Creative industries.